Colorado Front Range Realtor Tuesdi Arrotta, of RE/MAX Alliance, lists the top five tips on selling a home in spring. Overpricing sends the wrong message to buyer agents and buyers. Overpricing actually produces fewer showings. Choose a good real estate agent to show the seller SOLD comps from the neighborhood. Spring is widely considered the best time of year to sell a home. “The weather is nicer and there’s a lot of pent-up buyer demand,” said Tuesdi Arrotta, broker associate at RE/MAX Alliance. 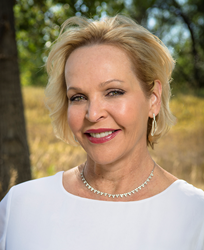 RE/MAX Alliance broker associate Tuesdi Arrotta works with home buyers and sellers in and around the Colorado Front Range area. She specializes in single family homes, condos and townhouses. For more information, please call (720) 863-4712, or visit http://www.homesincolorado.com/tuesdi-arrotta.